Breaking Out of Your Comfort Zone.. Sorry for disappearing for a while. It’s just that I’ve been feeling so negative this last couple of months which affected my writing. Since I don’t feel keen about publishing my complaints and confusion, I decided to lay low for a while. Gratefully, my mood is gradually getting better..and Walah..at last, an inspiration came to write something positive rather than the usual endless rants and complaints. (Yes..I recently became “anak nongkrong MTV” ;p). MTV MADE is a self-improvement reality television series broadcast on MTV. The series follows teens who have a goal and want to be “made” into things like singers, athletes, dancers, skateboarders, etc. The teens are joined by a “Made Coach”, an expert in their chosen field, who tries to help them attain their goals over the course of several weeks. Made documents the process the teens undergo as they try to achieve their goal. I don’t usually dig reality shows..cause sometimes I think they are just “fake” reality TV, with scripts and actors who acted as if in real situation (which proved to be true for some cases). But I must admit, this one is different. It gives a positive message for viewers to break out of your comfort zone and go after your goal..however impossible and ridiculous it may seems. One of the episode which is hilariously funny is about a 17-year-old boy name Keith, a big-muscled-senior and part-time garbage man known around his high school for being a meathead and a redneck. He wants to shed that image by doing something graceful, thus asked to be MADE into a Ballroom Dancer. HUH?? Yeah..right! But this show is serious. They gave Keith a professional dancing teacher to teach him how to Tango and prepare him to compete in the school’s Harvest Ball Dance-Off competition. They put him through ballet lesson, Yoga, jump rope, even circuss classes. And believe me..for a boy his size..it’s Tough! But through the hard training, and a couple attempts of quitting, he finally pull through and manage to win the competition. How about that? There are a lot of other episodes of teenagers trying to reach their dreams, such as becoming a cheerleader, rapper, hip hop dancer, rock star, triathlete, debater, pro wrestler, Skateboarder, even a ladies man! 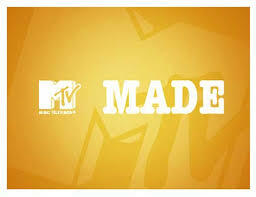 Made is currently in its 10th season, and has recently started a series in Canada, France and Germany. Overall, this is the one reality show that I recommend to watch. While other reality shows mainly commercialize poverty or personal shame, Made inspire teenagers to not be affraid to dream by giving them examples of others around the world daring to break out of their comfort zone, conquer their fear, and achieve something that they really crave for. Hhmm.. it got me thinking.. what real step have I taken lately to reach my dream?